For the first time in a long time, the Houston Rockets begin a season with a very real sense of expectation hanging over them. The signing of Dwight Howard, far less of a flip-flopper than Chris Broussard seemed to want everyone to believe, has brought with it the sense that these Houston Rockets might actually have a contender for the first time since post-move-guru Hakeen Olajuwon graced the pine in east Texas. Lin and Asik on the outs only a year in? Last pre-season began with the signings of Jeremy Lin and Omer Asik. It was not until the end of pre-season that the blockbuster, and frankly still baffling, trade that brought James Harden to Houston took place. Howard and Harden are at the centre of the Rockets new “H-Town” marketing strategy. Harden, still 24 years old by the way, is the face of this franchise. Which is odd, considering you don’t really ever see very much of his face. His 25.9 points per game last season was good enough for fifth in the league but he also contributed 4,9 rebounds and 5.8 assists per game. Not too shabby. Harden has perfected the so-called “Eurostep” as well as the art of foul drawing (he drew 349 fouls last season) thanks to his smoother than it looks style of play. He seems in total control of his offensive game and is rapidly becoming the premiere two-guard in the league. Personally, I rate him so highly that I would only entertain trade offers for LeBron or Durant and not another single player in the league today. Howard is the wingman in this relationship, even though he will earn $7 million more than Harden for each of the next three seasons. There’s not a whole lot to say about Howard that hasn’t already been said, indeed that I haven’t said in these pages myself. If he can get his free throw percentage into the 60%-70% region, then he can end the Hack-A-Dwight party that so many teams have enjoyed in recent seasons. 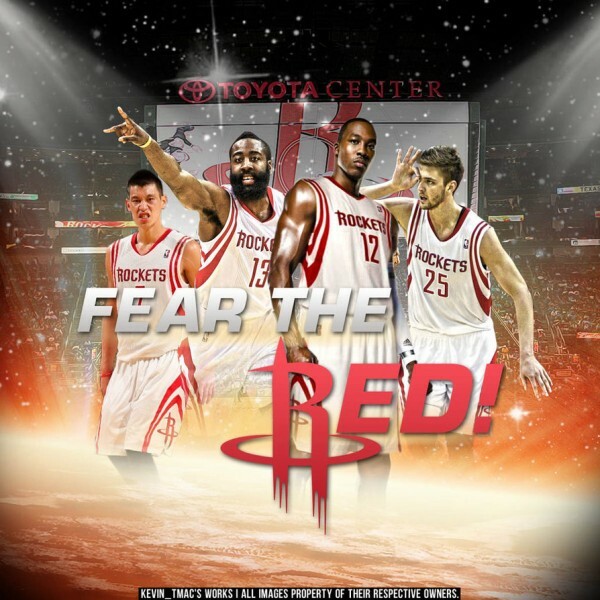 If not, then it seems unlikely that the Rockets can really progress too far this season. Chandler Parsons has defied the thirty seven teams (I realise there aren’t that many teams) who passed on him in the 2011 draft to become a legitimate player in the NBA. Look back at the 2011 draft and tell me that Parsons isn’t somewhere around the third best player to come out of that draft. I would argue that he’s second only to Kyrie Irving, but would listen to arguments about Klay Thompson, Kawhi Leonard and perhaps Nikola Vucevic. Maybe Kenneth Faried too. Parsons will earn a paltry $926,500 this season and $964,750 next season, the consequences of a second round draft pick rookie contract. There has been talk around town that Parsons, who shares an agent with Dwight Howard, is part of a golden handcuffs deal that will see him get paid by the Rockets at the first opportunity. Perhaps one of the most interesting mid-season additions to the Rockets last year was Patrick Beverley. A two year player at the University of Arkansas, Beverley left college after he was caught cheating on his classwork and was drafted in the second round of the 2009 NBA draft by the LA Lakers. He had already played one year overseas prior to the draft, performing admirably for Dnipro Dnipropetrovsk in the Ukrainian Second Division. He moved to Greek giants Olympiacos for the 2009-2010 season and then spent a season at Spartak St Petersburg in Russia. In 2012 he was named the EuroCup, formerly known as the ULEB Cup, MVP. Despite signing a contract extension in 2011, he secured his release from the club in late 2012 and joined the Rockets. 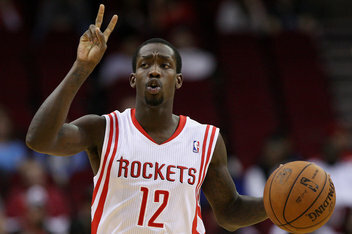 After a couple of weeks in the D-League, Beverley became the Rockets backup point guard, gradually earning more playing time. He became known for his tenacious defensive work and infamously injured Russell Westbrook’s knee when diving for a ball as Westbrook attempted to call a time out during the playoff series with the Thunder – a piece of hustle which he would receive death threats for. Hey Pat? Dwight is taking the 12 jersey, which one do you want? Beverley’s development has practically nullified the return of Aaron Brooks, so dynamic during his earlier stint with the Rockets. Indeed, Lin’s position as starting point guard is now seemingly under threat. Beverley plays a far more dynamic game than Lin and for his defensive hustle alone will surely at least earn significantly more playing time this season. He also offers the Rockets the option to trade Lin, if they decide that the $15 million they will owe Lin next season is not worth the salary cap hit. They would, of course, have to convince another team that it is worth their while to take it. 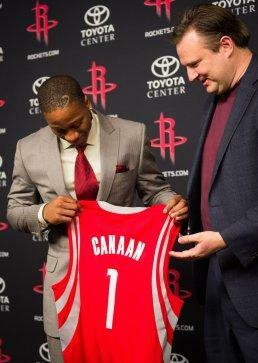 The role playing cast of 2013-2014 is perhaps not as varied as it was, but the Rockets have retained Francisco Garcia to fill the Carlos Delfino-sized void in the bench-gun-slinger role and Isaiah Canaan, the second round draft pick out of Murray State, promises to offer serious range when he makes the transition from the Rio Grande Valley Vipers, the D-League affiliate of the Rockets. Ronnie Brewer has also arrived in free agency from Oklahoma as has Marcus Camby, who will turn 40 in March 2014. The Rockets will also expect progress in the games of Terrence Jones, the athletic 3/4 man from Kentucky, now in his second year, and Donatas Motejunas, the Lithuanian 4 man with serious shooting range. The interesting development to watch out for this season is how the Rockets use Lin and Asik. Lin has looked very good throughout the preseason and offers something quite different to Beverley at the point. He gets to the rim very well and has a steady, if erratic, outside shot. Of course so does Beverley. Lin is a bit stronger, but Beverley is a lot quicker. The major issue, looking forward, will be how Houston plans to use the two when their back-loaded contacts mature next season, when they are both due $15m. Don’t be too surprised if both men leave Houston before the trade deadline – Asik in particular will be tempting to any team lacking a solid big man and the Rockets will find it hard to turn down any offers that include a solid 4, particularly one, like Ryan Anderson, who can really shoot the ball. I expect the Rockets to reach the playoffs comfortably (injuries aside, but that’s always the caveat with these things) and from there, they will go as Howard’s free throws go. Harden can compete with anyone on any given night, but if hack-a Dwight is a legitimate option, the Rockets will struggle to get past the leading teams in the west. Hack-a-Dwight: what really constitutes an unsportsmanlike foul? The Lakeshow is over. The Tankshow begins.